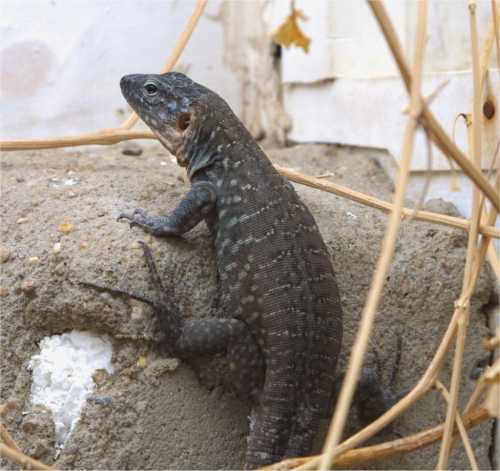 Canary Island Lizard (Galloti simonyi stehlini) People are often disparaging about these lovely lizards. Growing as massive as an Eyed Lizard they often have very good temperaments as adults. The individual below is a sub-adult - far from full grown - and already larger than a Green Lizard. These used to be readily available in the UK but this is no longer the case. I only know of one person breeding them and this is one of the offspring. Hopefull we will be able to breed some more.